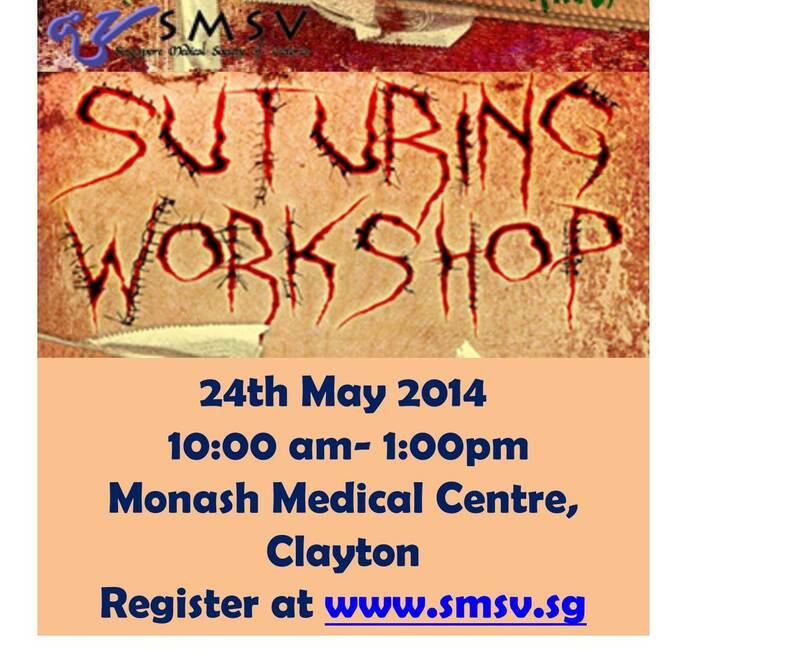 Registration for the SMSV 2014 Suturing Workshop is now open. Approximately 30 spots are available. Register early to avoid disappointment! Registration closes on 8th May 2014.